Sharks are getting a break from being the most feared animal along the seashore since a video made its rounds online that showed a Canebrake rattlesnake on Ocracoke’s beach. Ocracoke Campground to close at Noon today ahead of potential tropical storm conditions. …or how I got lost and found on the beach. I Got Mooned on Ocracoke's Beach! Beautiful moon shells (and the snails that live in them) are a fun beach find. 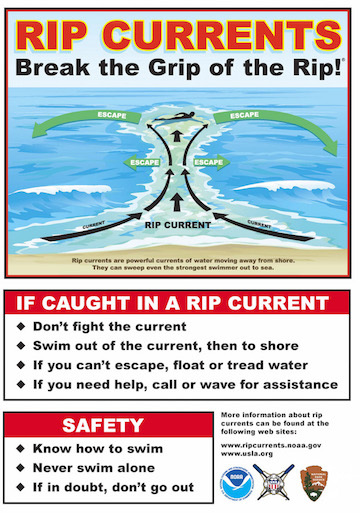 Cape Hatteras National Seashore urges beach visitors to use caution over next several days. A Congregation of White Ibis gather to see and be seen at this Ocracoke puddle. Weather forecasts indicate that there is a high likelihood that Potential Tropical Cyclone Ten may bring sustained tropical storm force winds and heavy rainfall to Cape Hatteras National Seashore (Seashore), Fort Raleigh National Historic Site, and Wright Brothers National Memorial this evening and tomorrow. Ocracoke's NPS crew will excavate a nest at 11am on Tuesday, August 22nd. Cape Hatteras National Seashore (Seashore) Superintendent Dave Hallac is excited to announce a Commercial Services Orientation and Open House on Ocracoke Island.